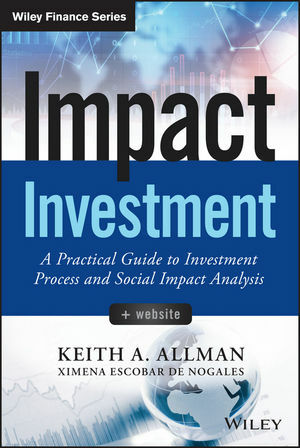 Impact Investment: A Practical Guide to Investment Process and Social Impact Analysis is a must-read guide for investors and wealth managers entering the social finance investment space known as "impact investing." This book walks readers through the demanding task of properly executing an impact investment strategy, providing solutions to some of the most vexing challenges that arise when investing for both financial return and social impact. Readers will learn how impact investing is different from other strategies, how the organization's mission affects investment decisions and structures, and what to look for in an organization prior to investing. A running example of a village distribution company illustrates the methods and concepts in action, and a full-fledged case study utilizing downloadable professional level analytical tools consolidates all examples into a real-world setting. Investing with the goal of social impact doesn't remove the need for rigorous investment techniques and diligent processes. Impact Investment: A Practical Guide to Investment Process and Social Impact Analysis is a guide to putting it all together, for a more targeted approach to impact investing. KEITH A. ALLMAN is a Director in Deutsche Bank's Structured Credit group, working on esoteric asset-backed securities. Previously, he was a Senior Investment Manager with Bamboo Finance, a commercial impact investment firm managing a unique portfolio of direct venture and private equity investments around the world. He currently engages in impact-related work as a Director on the board for Relief International. XIMENA ESCOBAR DE NOGALES is the Head of Impact Management for Bamboo Finance, a private equity firm investing in low-income business models in developing markets. She is responsible for impact management throughout the investments' life cycles. Previously she worked at BlueOrchard, the Global Fund to fight HIV%Aids, Tuberculosis and Malaria, and a Swiss Foundation promoting dialogue and economic reconstruction in conflict-ridden countries.